Our sports editor Steven Okonek with the assistance Jason Zaleski of the Zaleski Sports Show sat down and projected out the playoff field if the season ended on Sunday. We based our projection on Overall Record, Conference Record, the strength of the conference and non-conference games played. Today we release our projections for Girls Basketball in divisions three, two, and one along with Girls Hockey. Stratford is in an interesting situation, however odd it is to say all of their five losses are good losses, they have been to two different Division 2 schools, the top team in the Marawood North and South including a tough game at Wausau Newman after beating them early in the season, and a loss to Cloverbelt East leader Colby. The biggest knock against Stratford will be the Marawood itself, being the only Division 3 school in the conference. Medford has an interesting schedule remaining, with games against D3 Nekoosa and D4 Stanley-Boyd both of whom are having tough seasons. But they also have to play conference-leading Rhinelander. A win against Rhinelander or Lakeland could bring a big boost to their seed. Mosinee could cost themselves a higher seed with their schedule, with remaining games against D5 Edgar, D3 Amherst and D4 Wittenberg-Birnamwood plus a tough game against Lakeland plus other games against D3 and D4 opponents in their non-conference schedule. We project them at a four seed because of the lack of depth in this section, but a few big wins down the stretch by teams below them could cause Mosinee to drop even if they win out. A year of transition under first-year coach Taylor Varsho, the Tigers have had their struggles and find themselves towards the bottom of the section. They do have some winnable games coming up and with the sheer number of teams with similar records in the bottom half of the section, Marshfield could be a big mover between now and the end of the season, especially when they get to play their now twice postponed game at home against Wisconsin Rapids on Monday. 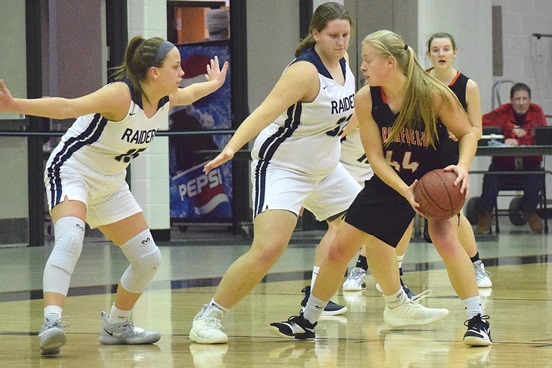 Wisconsin Rapids is in the same mix as Marshfield above at the bottom of the section, the advantage for the Red Raiders is they have more games against beatable teams down the stretch, these results could see them make big moves up or down. The top 4 seeds in Division 1 are very fluid right now, with SPASH, Wausau West, Appleton North, and Appleton East all with similar resumes, we gave the nod to the two FVA schools because they have a tougher conference schedule. But with that comes more tough games, and SPASH have only one real test left against Wausau West at home to end the season, win that and a few slip-ups along the way by the Appleton schools could see the Panthers get that 1 seed. Girls Hockey is interesting as there are very few stand-alone schools, 10 schools form the WI Valley Union, and they have had a good season, and with the few teams in the area, even with a .500 record earns them the two seed and sets up a sectional final game with the Central Wisconsin Storm consisting of the Wausau area schools. Check back on Monday as we preview Boys Basketball in divisions five and four.